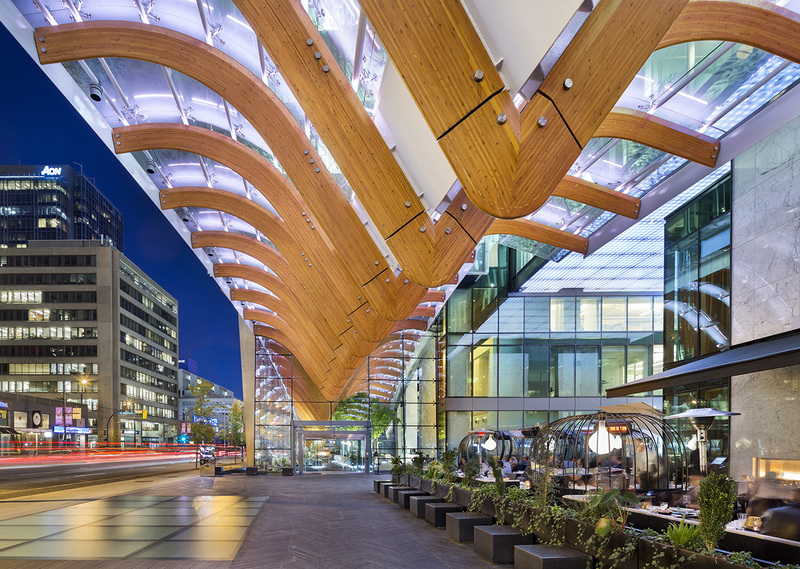 The TELUS Garden development has converted an outdated Downtown Vancouver street into a future-friendly community fusing aesthetics, urban design and environmental stewardship. 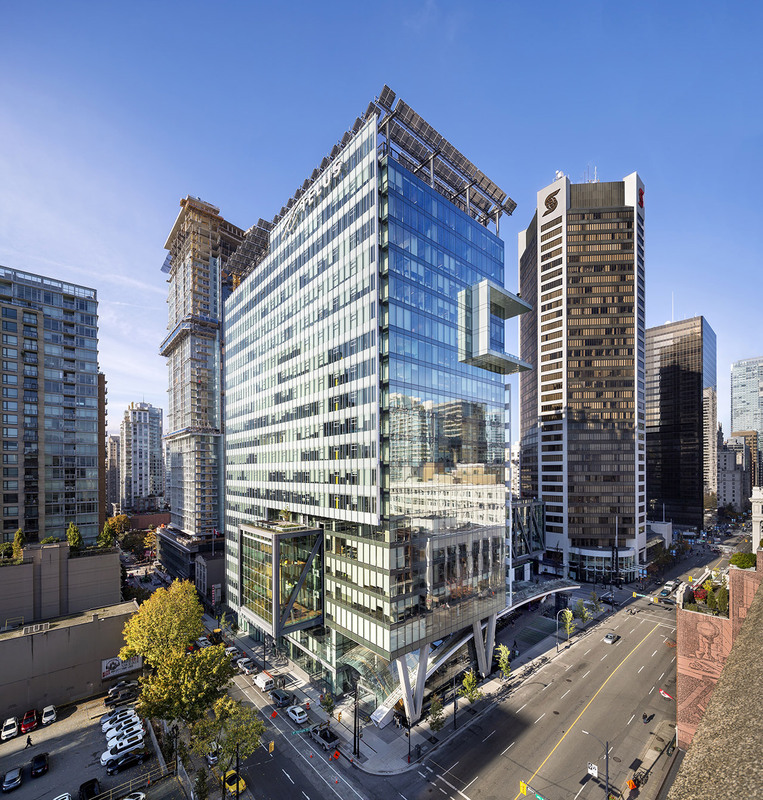 TELUS Garden’s 22-storey, 450,000 ft2 office tower at the southwest corner of West Georgia and Richards streets has transformed the telecommunications giant’s existing headquarters on the city block into one of the most technologically and environmentally-advanced sites of commerce, employment and living in the world. 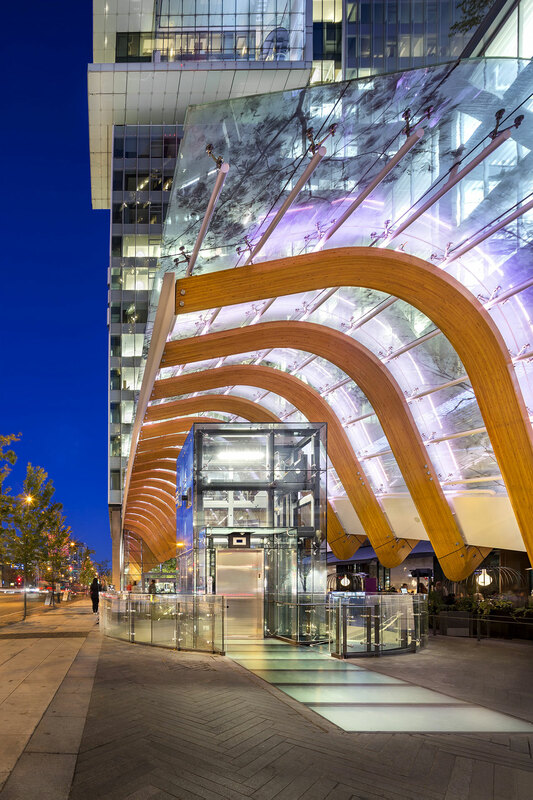 The office tower is the first building in Canada to target and receive the 2009 LEED Platinum standard with features that include an innovative site wide utility, rainwater harvesting and solar panel systems. 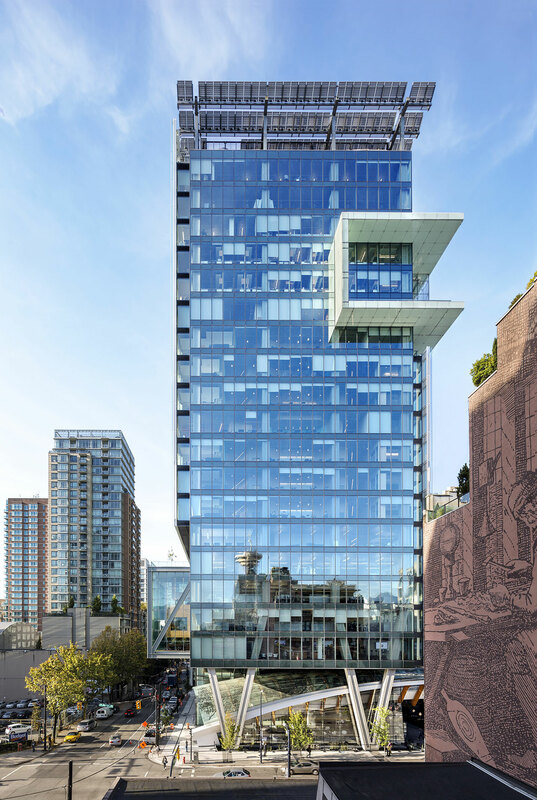 The landmark development reinforces TELUS’s commitment to Vancouver and contributes significantly to the City’s goal of becoming the greenest city in the world. 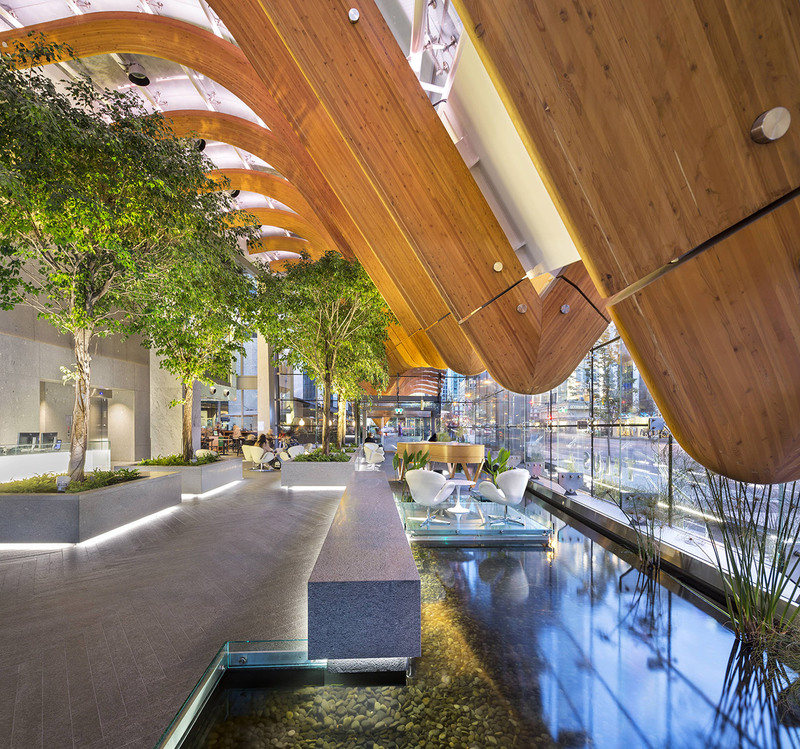 TELUS Garden is also quickly garnering a reputation as a hub for innovation, business and social activity in the city core. 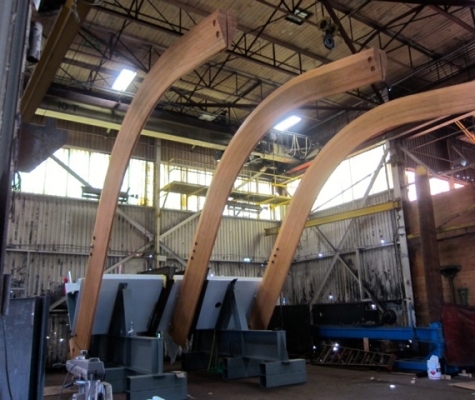 Public spaces, amenities and art are also major components of the development. 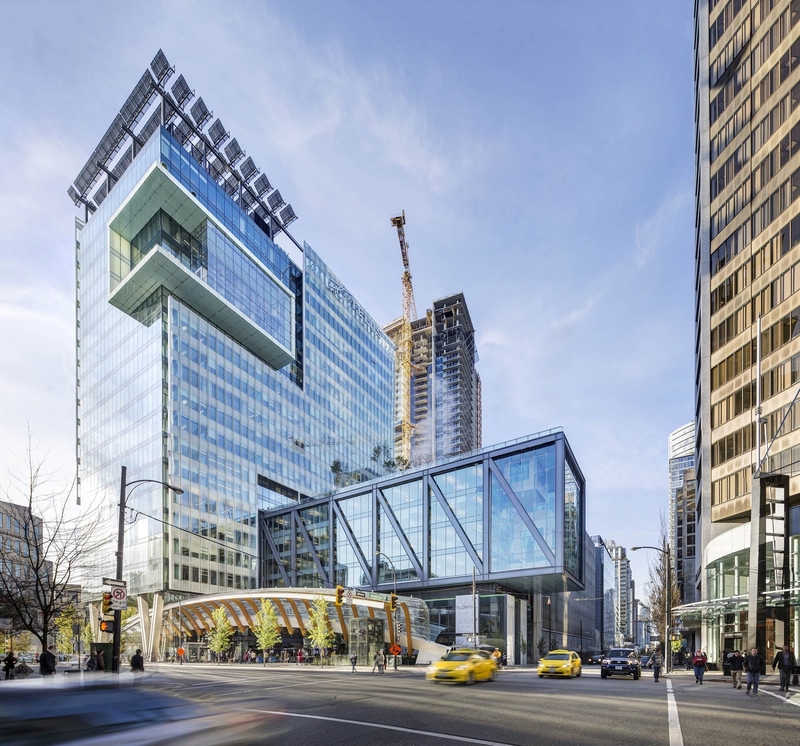 The office tower features 14,000 ft2 of green roofs growing organic produce for local restaurants, Sky Garden meeting rooms, West Coast art, programmable LED lighting that projects coloured images on the soffit, and a media wall where cultural events can be broadcast to the public. We are creating a destination for visitors to our city and inviting our team, tenants and customers to live, work and play in a vibrant ecosystem that promotes the environment and workforce productivity. We are thrilled to see this block transform into an extraordinary world-class space. 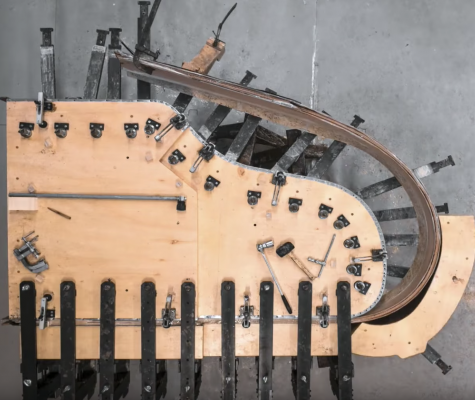 When we have projects like this come forward…that combine all the elements of sustainability, social, economic and environmental in one package, and elevate that with arts, culture, philanthropy, and public space, it’s hard to say no.